The accident occurred July 19 at Table Rock Lake near Branson, Missouri. An amphibious duck boat sank amid strong winds, killing 16 passengers and a crew member. Fourteen people survived. Nine of those victims were from on Indianapolis family. ST. LOUIS -- The U.S. Coast Guard has referred the investigation into last month’s deadly sinking of a Missouri tourist boat to federal prosecutors. The accident occurred July 19 at Table Rock Lake near Branson, Missouri. An amphibious duck boat sank amid strong winds, killing 16 passengers and a crew member. Fourteen people survived. Nine of those victims were from on Indianapolis family. Tia Coleman and her nephew, Donovan were the only two members of their family to survive. 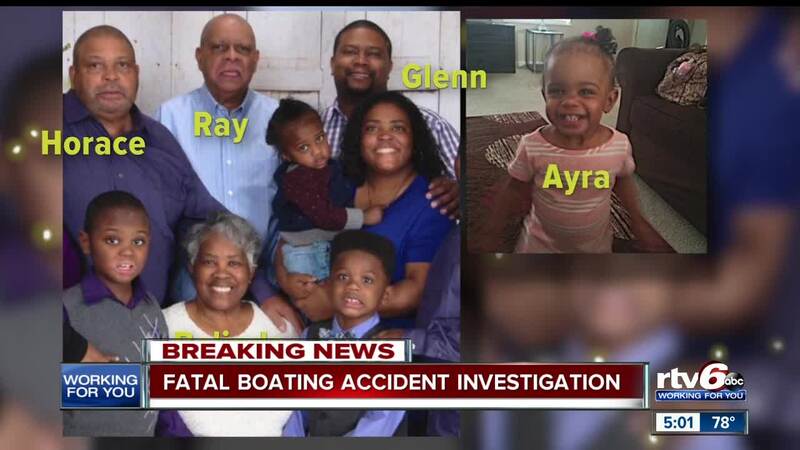 Several investigations are still underway from the National Transportation Safety Board, the Coast Guard and the Missouri Attorney General’s Office. The duck boat attraction owner, Ripley Entertainment, says it is cooperating with the investigations.